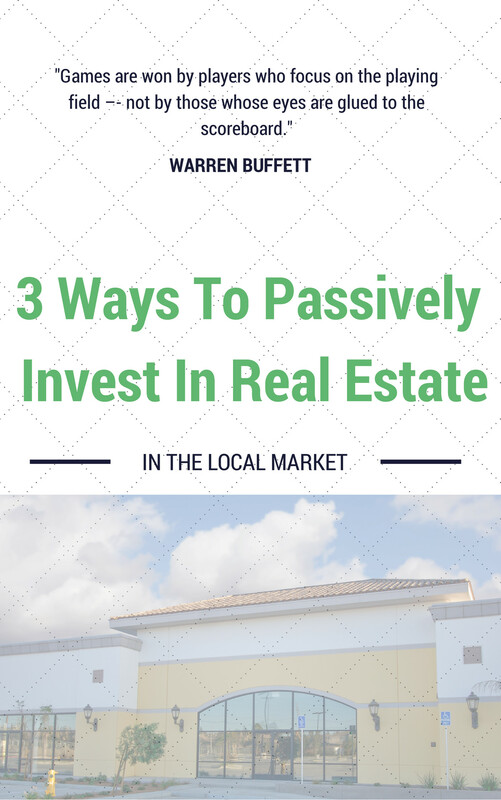 Thanks for requesting our “3 Ways To Passively Participate In Today’s Real Estate Market” report. This report is meant to be a quick read and a service to our website visitors to help educate you on today’s real estate market and how people are participating in today’s historical buyers market in a passive fashion. 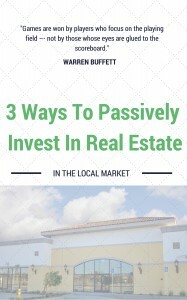 If after reading this report you feel that you want to learn even more… find a reputable real estate investment firm in your area that you can talk to or you can also contact us for more educational information on the 3 types of passive or semi-passive ways to participate in today’s real estate market. Click the button below to download your report. DISCLOSURE STATEMENT: This is not an offer to sell, or solicitation of offers to buy, securities in states where such offer of solicitation cannot be made. This is not an offer to residents of New Jersey or New York or where prohibited by state statutes. This website or advertisement shall not constitute an offer or solicitation to sell or buy securities in any state where registration of the security is required or where such solicitation or offer cannot be made. US TREASURY DEPARTMENT CIRCULAR 230 NOTICE: Any advice contained in this communication, including attachments and enclosures, is not intended or written to be used, and cannot be used, for the purpose of (i) avoiding penalties under the Internal Revenue Code or (ii) promoting, marketing, or recommending to another party any transaction or matter addressed in this communication. We do not provide tax advice on any matter, therefore we are not providing any guidance to the recipient on a "more likely than not" or higher confidence level. This communication is not intended to be a reliance opinion within the meaning of Circular 230. We are a real estate solutions and acquisitions firm that specializes in finding value add real estate opportunities and executing on those opportunities, create thriving income producing properties, and to partner with qualified investors to help them participate in this real estate market. As stated, this is not a solicitation or offer of securities. Investment is offered only to qualified investors through a written Investment Agreement or Private Placement Memorandum.